Hi, back with another day of Neat & Tangled's September Release. 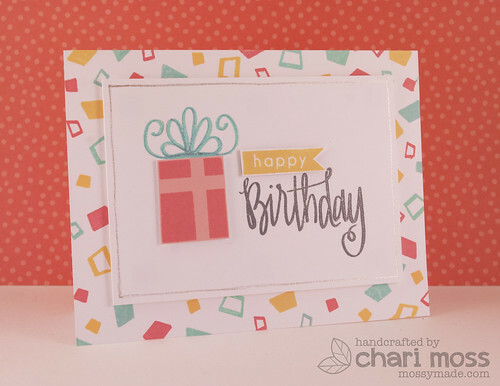 Today we are featuring the set Just For you, a great birthday themed set. I made two cards, both with the same bright and happy color scheme. 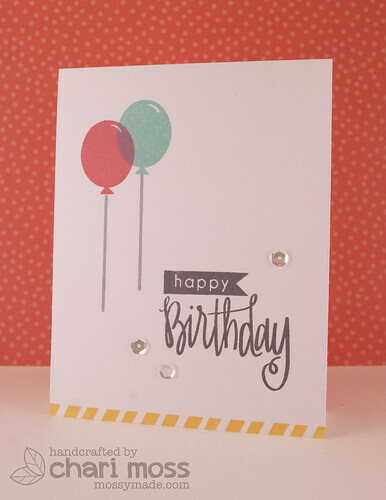 The second card is basically one layer, if you don't count the sequins. I like how the shadow inks of the balloons overlap and create the look that they balloons are translucent. I used a stamp from On the Strip to accent the bottom which was the finishing touch in my opinion. Be sure to check out other projects using this set on the Neat & Tangled blog and comment there for a chance to win. Both very fun cards! Love the colors and design.